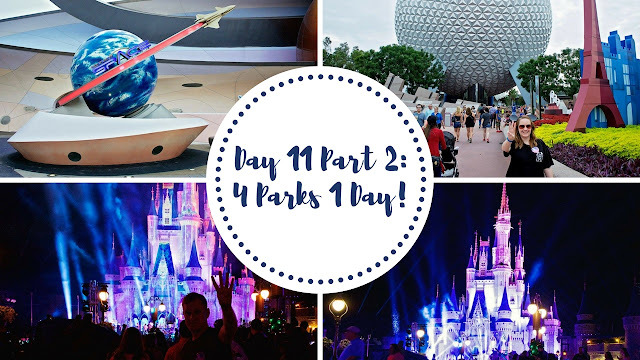 YouTube | Walt Disney World 2016 Vlog #21 - Day 11 Part 2: 4 Parks 1 Day! This week we're completing our 4 Parks 1 Day challenge! Starting the afternoon off in Epcot Soarin', Mission Space and Ellen's Energy Adventure before heading over to the Wilderness Lodge for dinner at Whispering Canyon Cafe! Then we're ending the night at Magic Kingdom where we catch Boys II Men performing for the Christmas TV Special and ride Buzz Lightyear Space Ranger Spin and Astro Oribiter!